Longer than the 9th with water short and right. Aim for the left half of the green for safety. Uphill par 5. Water up the right hand side comes into play for those going for the green. The green is a tricky affair with a steep tier running from left to right. A right angle dog leg. Don’t be tempted to bite off more than you can chew. A conservative strategy should return a safe par. A new men’s tee makes this hole much tougher. 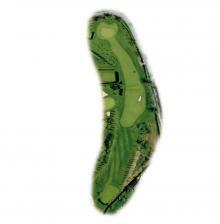 A sweeping right to left dog leg and a two tier green that slopes from front to back makes the second shot tricky. 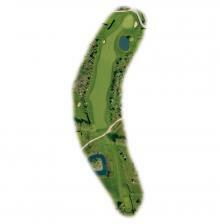 A long par 3 with water left and out of bounds to the right. Only your best struck shot will do here. 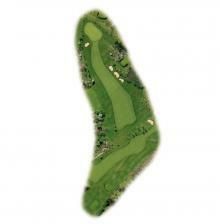 A true three shot par 5 that will live long in the memory. Water crosses the hole twice and the shot into the green is as pretty as you’ll see with the Three Locks in the background. A sharp right to left dog leg. The ideal tee shot would hug the right hand side but avoid the bunker on the corner. 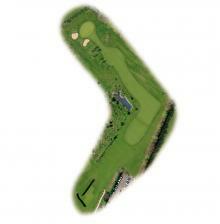 This should leave a shot of around 150 yards to a flattish green that can yield a good opportunity of a one putt. 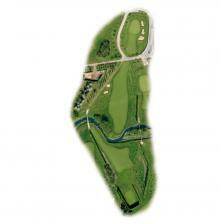 An uphill tricky par 3 where club selection is pivotal. 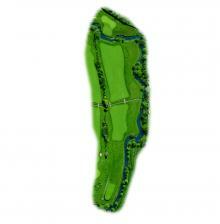 A deep green means that hitting the putting surface is only half the battle. Three is a good score. This uphill tee shot requires a well struck ball to get to the top of the slope. Once there take an extra club to ensure you get home with your next.